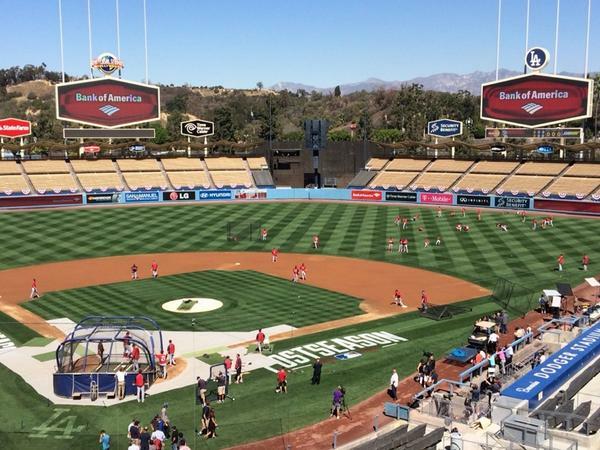 The Cardinals and Dodgers are working out today at sun-soaked Dodger Stadium in preparation for their National League Division series, which starts Friday night, er, afternoon. The big story, of course, will be destined Cy Young Award winner Clayton Kershaw -- and his desire to wash away any lingering NLCS frustrations. Don Mattingly says Hyun-Jin Ryu is good to go to start Game 3. If Hyun-Jin Ryu really is healthy, and all signs point to that, then the Dodgers playoff chances just got a lot better. Can Hyun-Jin Ryu really throw 100-110 pitches in Game 3? "I wouldn't put it past him," #Dodgers pitching coach Rick Honeycutt says. Dan Haren said tentative plan is for him to be ready to pitch in relief in Game 3 in case Ryu's start cut short. 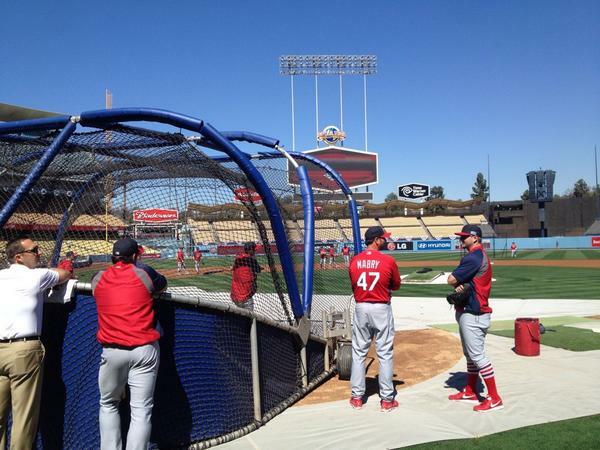 Mike Matheny loves that the #stlcards are underdogs to #Dodgers and says: I like our chances."" Been dreaming of this since the first time I held a baseball. Kozma makes #stlcards’ postseason roster. So do rookies Marco, Oscar, Grichuk and Wong. 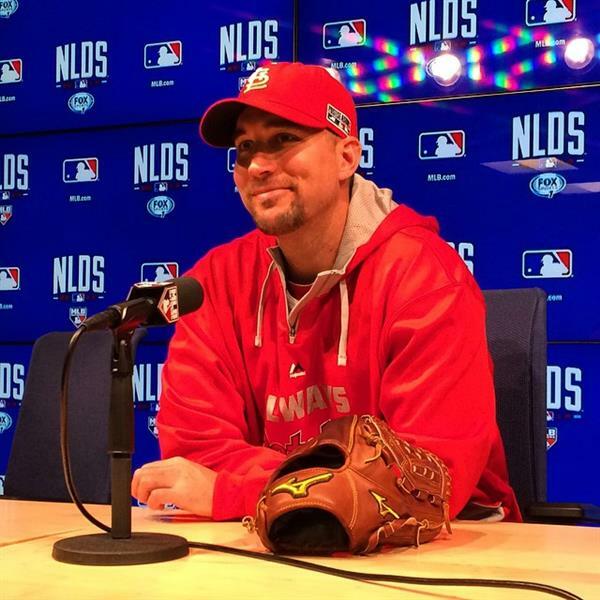 Veterans Pierzynski, Ellis and Motte do not. 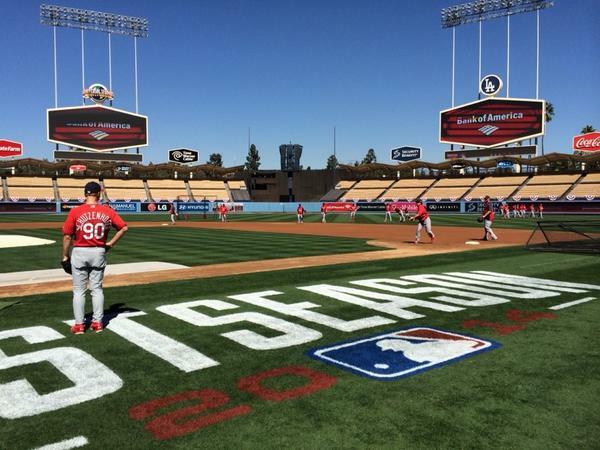 The #Dodgers are the favorites to win the World Series, followed by the #Nats, #Angels and #Tigers, per Bovada. I've got #Nats-#Tigers. 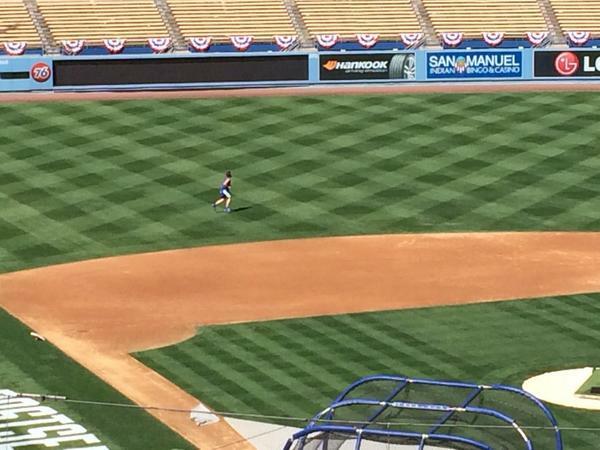 Don't worry too much about Dodgers' @ClaytonKersh22. That fellow grew up in Texas. He'll be fine. But will the ball be jumping? Could be. 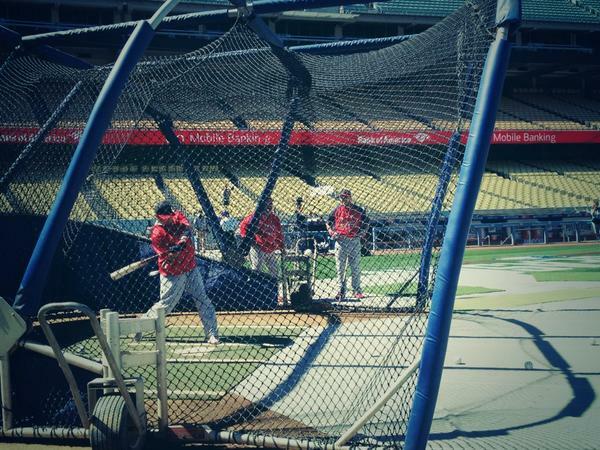 Tomorrow's forecast for game-time temperatures: 93 at Dodger Stadium, 91 at Angel Stadium. 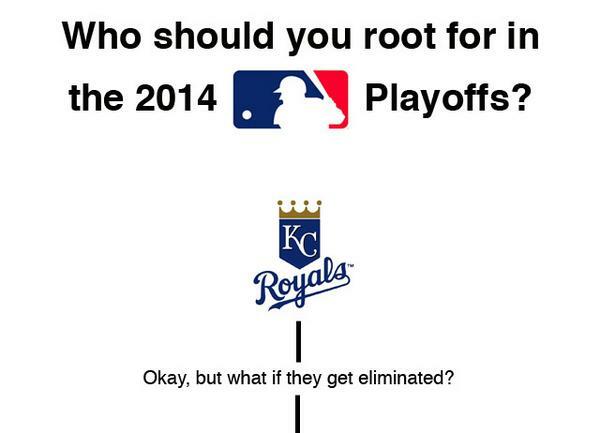 This postseason is bringing the heat! Matt Carpenter leads the #Cards in fWAR & OBP since the start of the 13 season. Strong argument he is the most valuable @Cardinals player.